Hello everyone. I am back from my unexpected absence. I made such an effort to post regularly during the holidays but somehow the last week and a half got away from me; it passed by so extremely quickly that I didn’t have much time for posting. This was largely because of the Olympics. Keeping updated with both the tennis and swimming was very time consuming. I even got up at 4.30am every morning for a week to watch the swimming. The early mornings were challenging for a person who usually sleeps until the afternoon but it was completely worth it; I enjoyed it immensly. I’ve been back at university for a week now and it is as boring as ever. Fortunately it’s my last semester and I have one less subject than usual! It’s actually more pink than orange; I just have a very average camera. I really like the sequins on your cardigan. 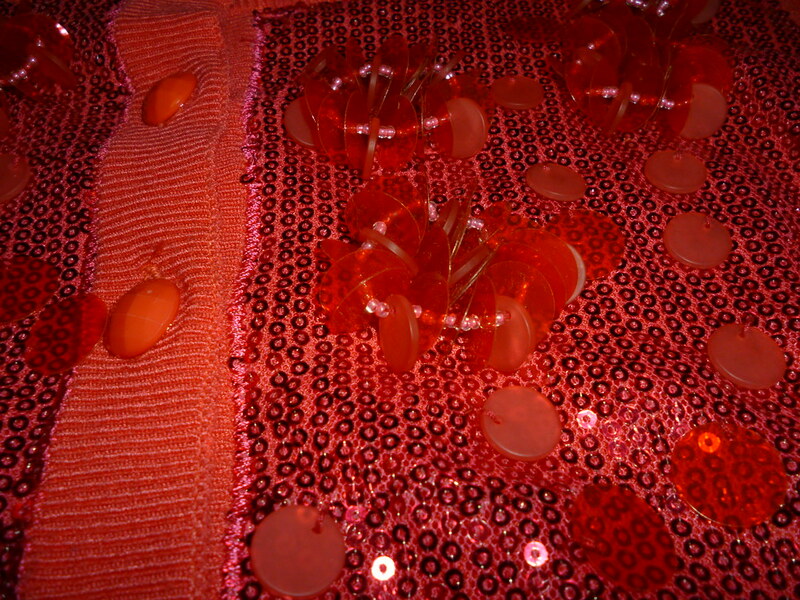 Sequins always add sparkle and shine! whoa this is definitely a statement piece! I love the sequins on that cardigan! It looks so incredible. I bet it looks great on. What a pretty cardigan. So shiny too. Soooo pretty, I cant wait to see you do a outfit post wearing it. so sparkly– definitely a great eyecatcher especially for the holidays coming up! I love this cardigan!! Have a nice day! No, no no, in my head it's RED! 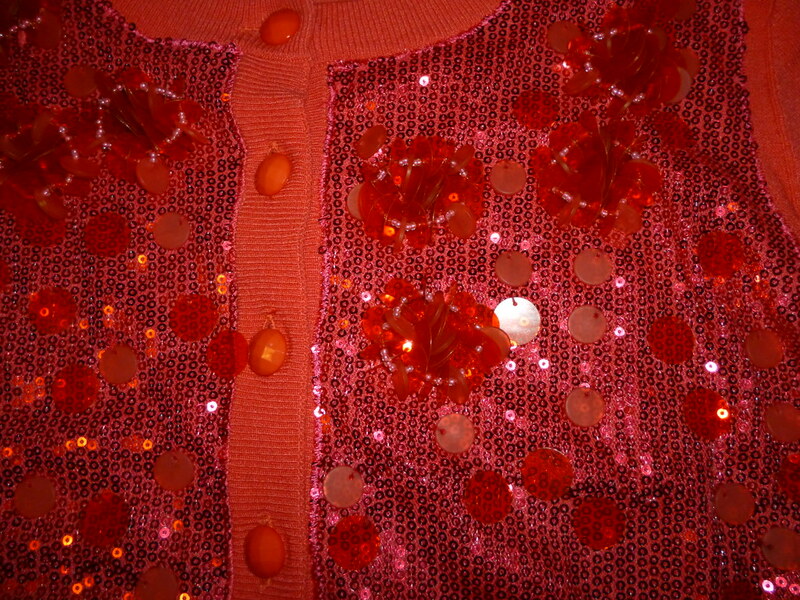 It's the ultimate 'Ruby slippers' cardigan and I love it!!!! SO pretty! Can't wait to see how you style it! fun cardigan, love all the sequins. 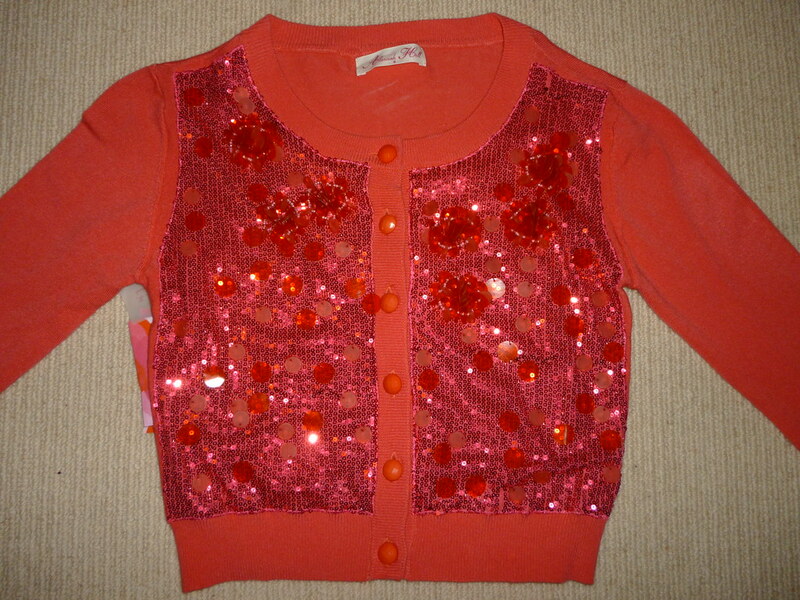 Such a cute cardigan – loving the sequins!